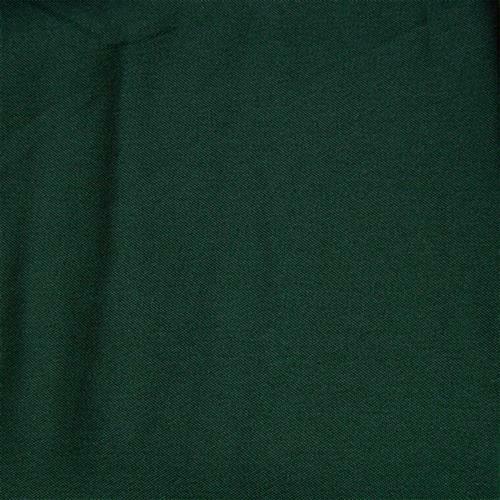 Hunter Green fabric is incredibly unique & stylish. 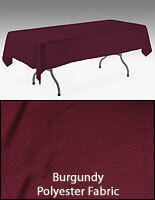 Plain table cover won't bubble or bulge underneath table skirts. 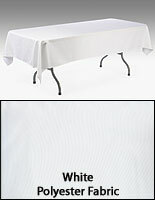 8-foot tablecloth prevents extra fabric from hanging off a 6-foot table. 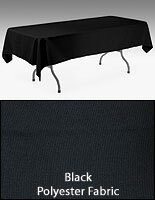 This polyester table cover enhances an old, worn-out or blemished table, by simply covering it with a plain, colored fabric. The thick material masks even the worst of tabletop conditions. 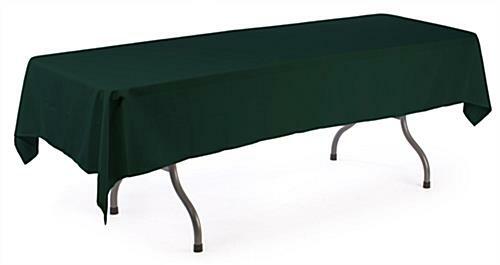 This tablecloth, polyester table cover is made from 100% polyester and features a unique, Hunter Green color. Not only is the fabric incredibly durable, but it also provides the linen with a brightly-colored display to truly draw attention towards a presentation. 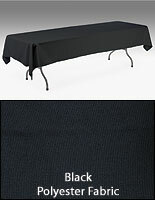 This polyester table cover, also known as table skirting supplies, measures 8 feet long and will therefore fit a 6-foot-long display table with ease. This topper is intended for use with a skirt, but can be used by itself if desired. Because the polyester table cover is meant for use with table skirts, you won't want any additional fabric hanging over the edges of a table. This topper will typically drape half way on a standard height tabletop. The 8-foot-long topper will help you create a smooth surface for the top of your display. 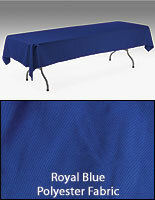 This polyester table cover is ideally meant for use within a banquet room, reception hall or dining area. This linen is very easy to maintain, as it is machine washable and wrinkle resistant. The table skirting cloth, polyester table cover should be used in conjunction with box pleated table skirts to fashion a polished table display. This site offers matching skirts. Buy the polyester table cover in multiple quantities and you could equip an entire room with attractive and professional-looking tables. The hunter green coloring adds style to any room or facility. This polyester table cover, such as table skirts, is a more affordable alternative to renting yet will last throughout many uses! The table cloth is nice quality, great buy for the price. Thanks for the great review, Rozanne! Quick Ship & quality product...very pleased thank you.